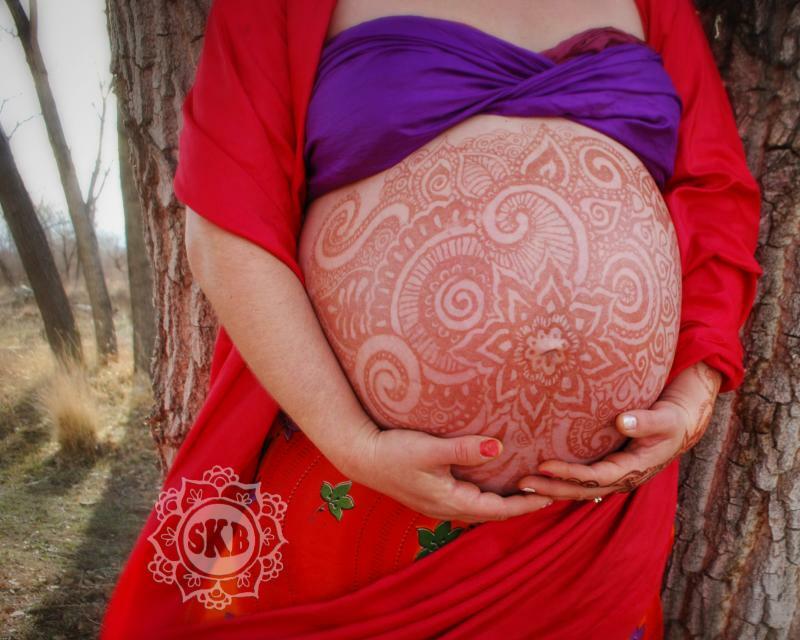 I first met Jeanmarie in 2013 and we celebrated her pregnancy with a gorgeous henna tattoo. 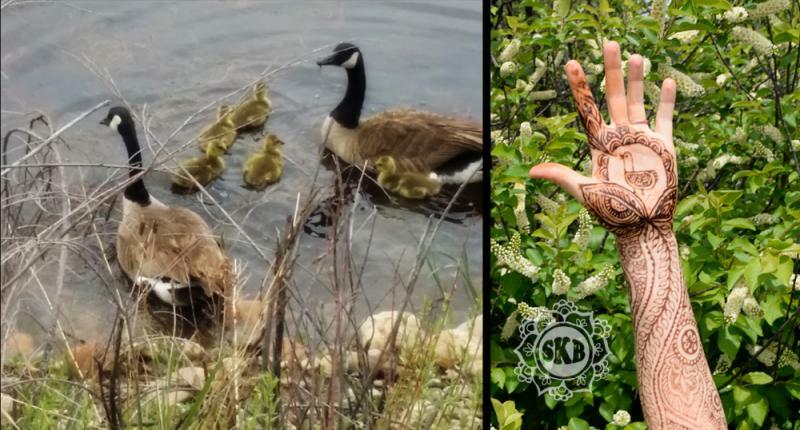 In 2014 she returned with her 3 daughters for postaprtum henna with flowers and hummingbirds. 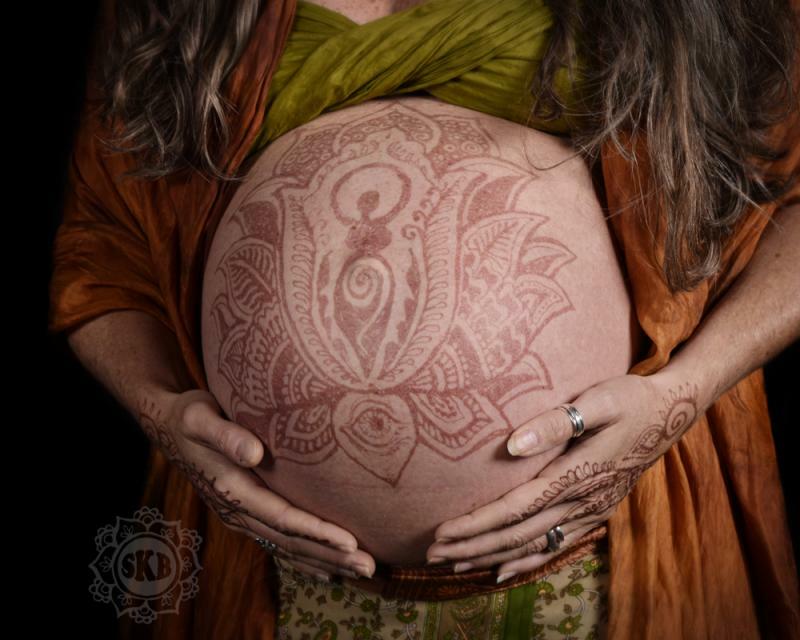 And last week we did an amazing breastfeeding session, with a theme of lotus flowers, dragonflies and a frog. I love how it came out! 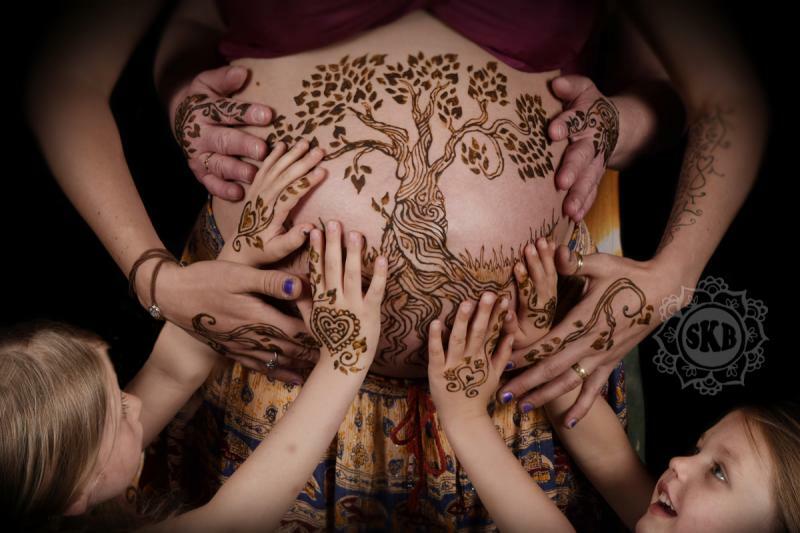 Piper, her mom, and her two daughters all came to my henna studio for henna to celebrate pregnancy! 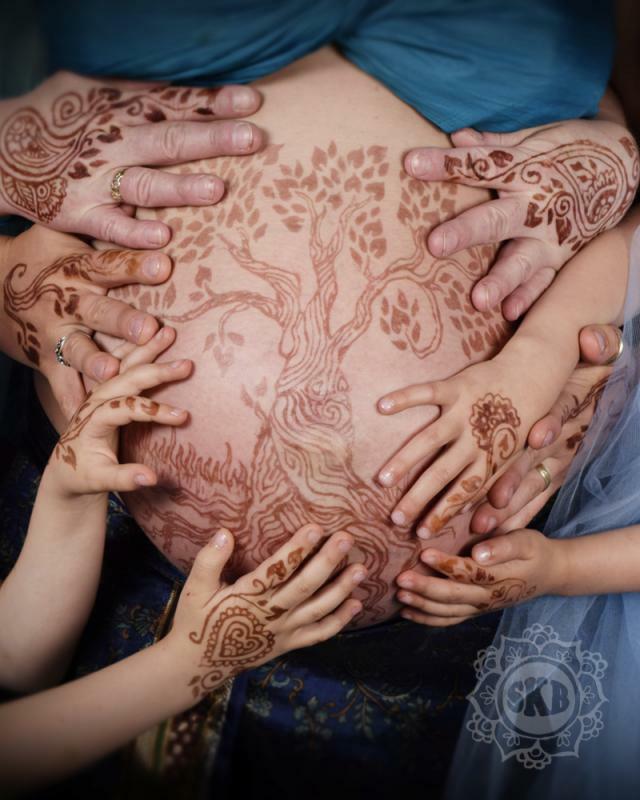 Here we are getting all the hands in place (behind the scenes) and below is the final photo. 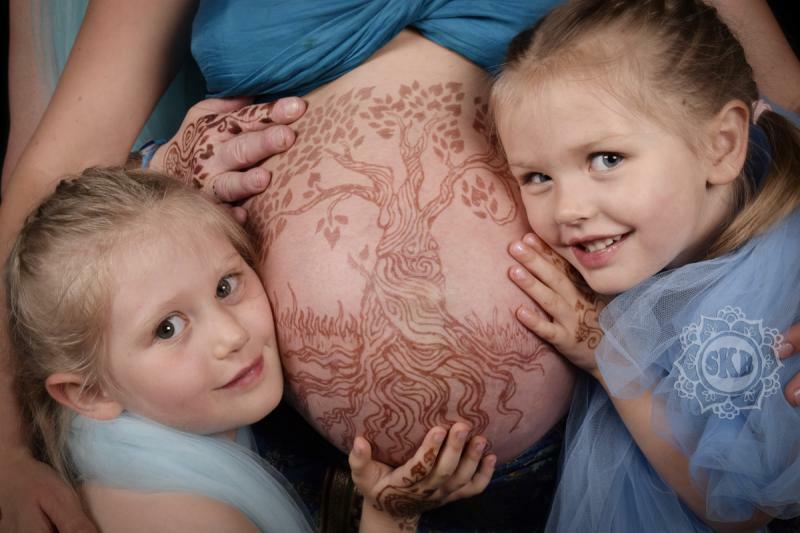 I really love Pipers choice of design, a tree, with an emphasis on roots. 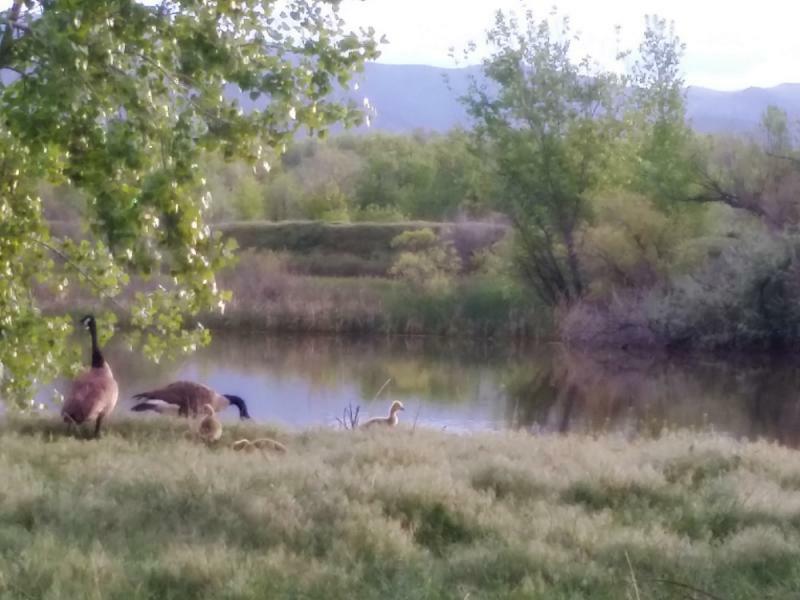 And we went outside as well, beautiful Boulder, Colorado! 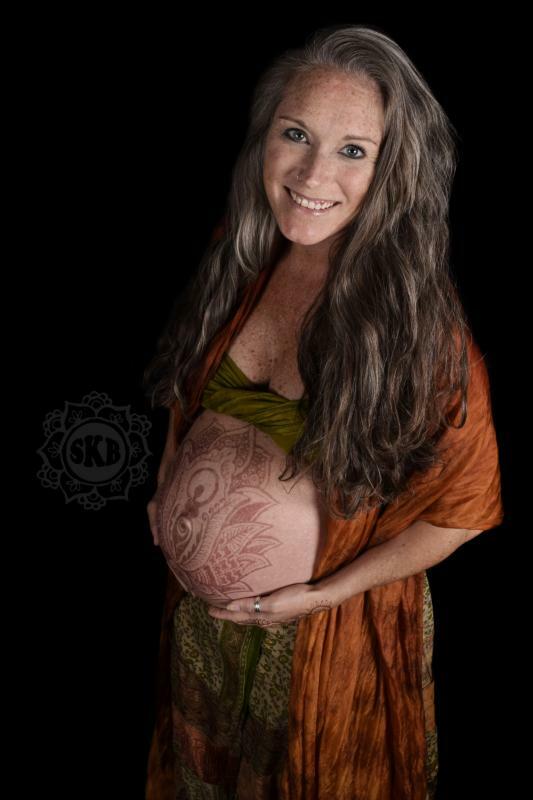 I was so happy to come and celebrate with Carrie right after she gave birth - her daughter is almost 2 weeks old here ~ And I love the design - mama and baby bird, with the baby bird's mouth open... adorable! 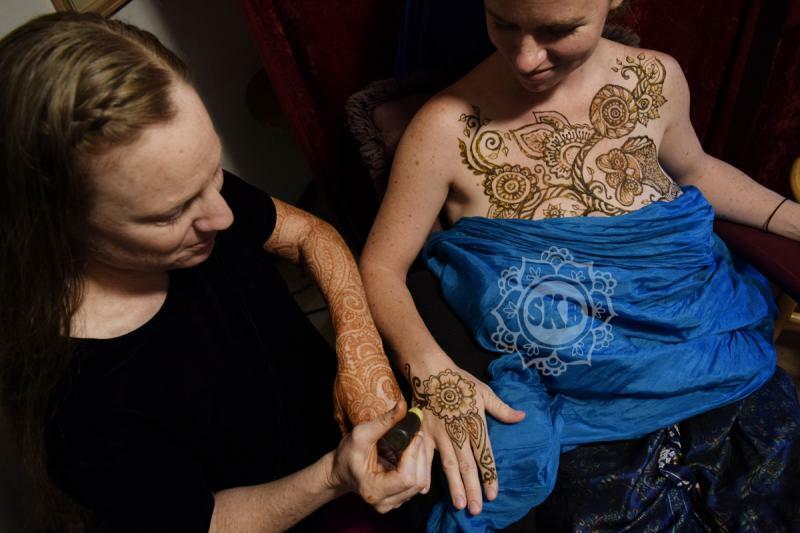 The photo below was taken right after I painted her, so the henna looks very dark. And of course... we must have photos of me with 2 of my daughters! They are such a blessing in my life. 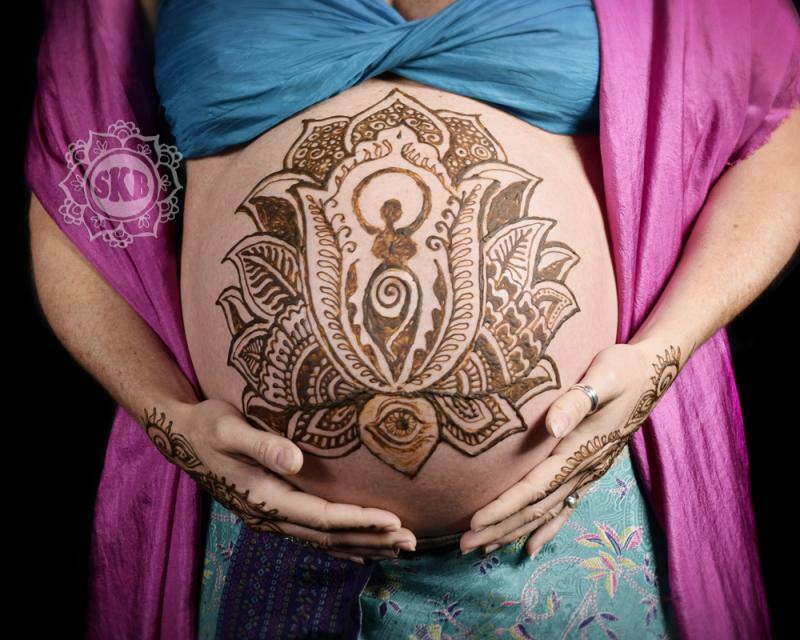 I first met Erin in 2012, when I adorned her with a ganesh in celebration of her pregnancy. Erin is a goddess! I loved her photos so much that I chose her as our book cover model for Volume 3 of my book series. 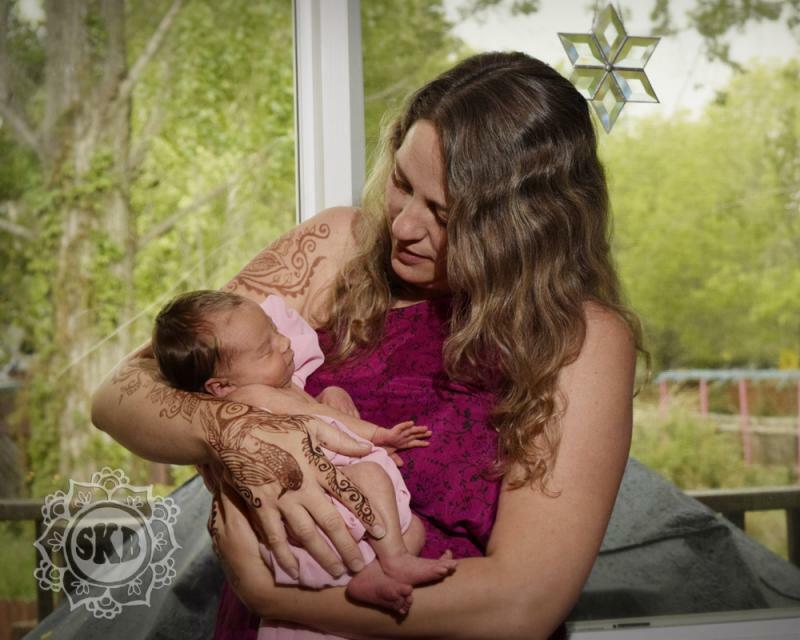 Melody came to my home studio in Boulder (Colorado) for some breastfeeding henna, and requested an owl. I really had fun with this one! I love how the owl is tilting its head. The henna on my arm is bright orange because I'd just applied the henna the day before. 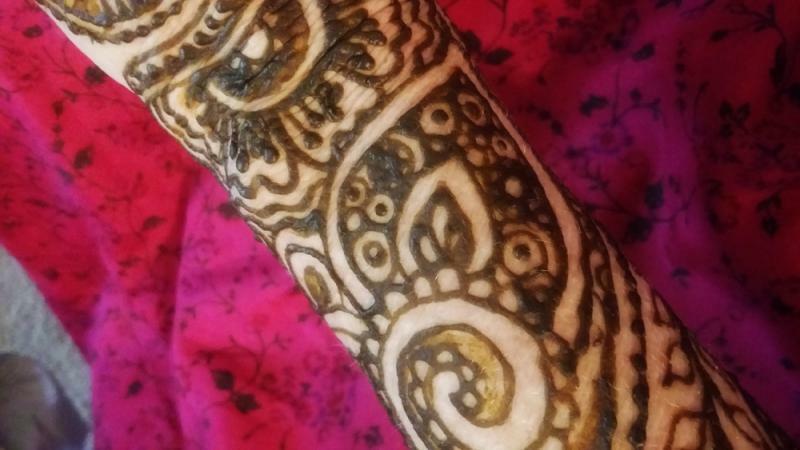 This is my Mother's Day henna sleeve! 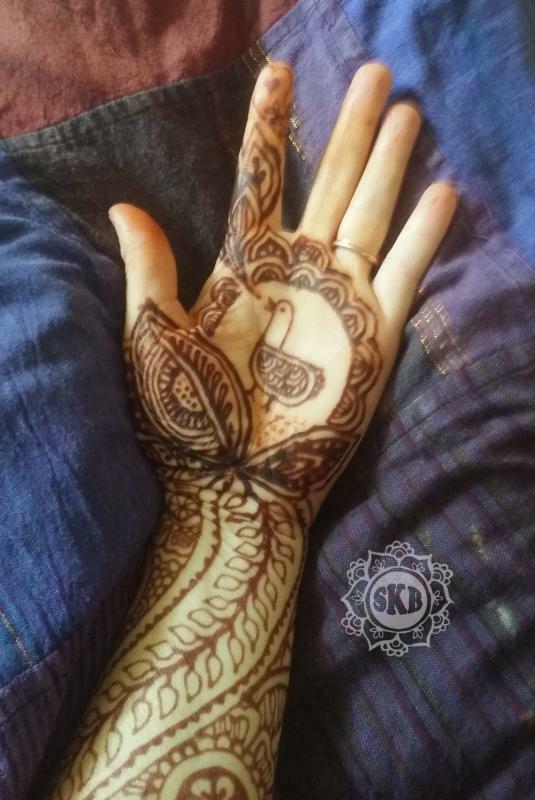 After 3 days the henna had oxidized and was a beautiful brown color, peaking in darkness. 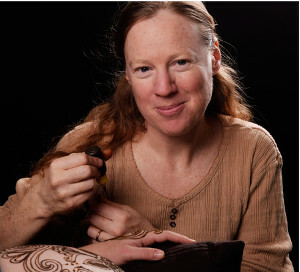 We started in the studio for some photos under the lights, and then headed outside. I am so grateful it's warm enough now to do this outside! I take pregnancy pictures year round but for breastfeeding, I really like to wait until it's warm enough for everyone to feel comfortable. 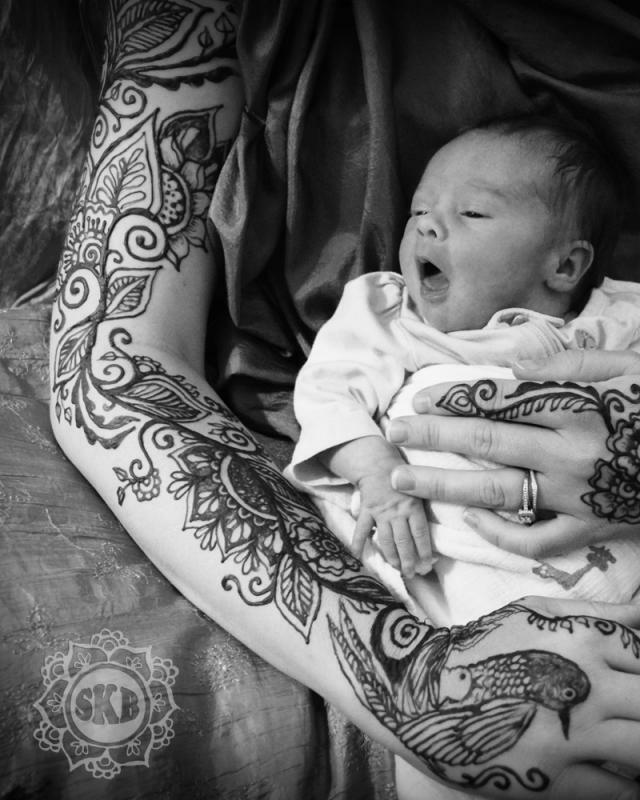 In the photo below, you can see my henna peaking too! It was warm on this day, but the day before, Mother's Day, it actually SNOWED and you can still see some on the mountains. 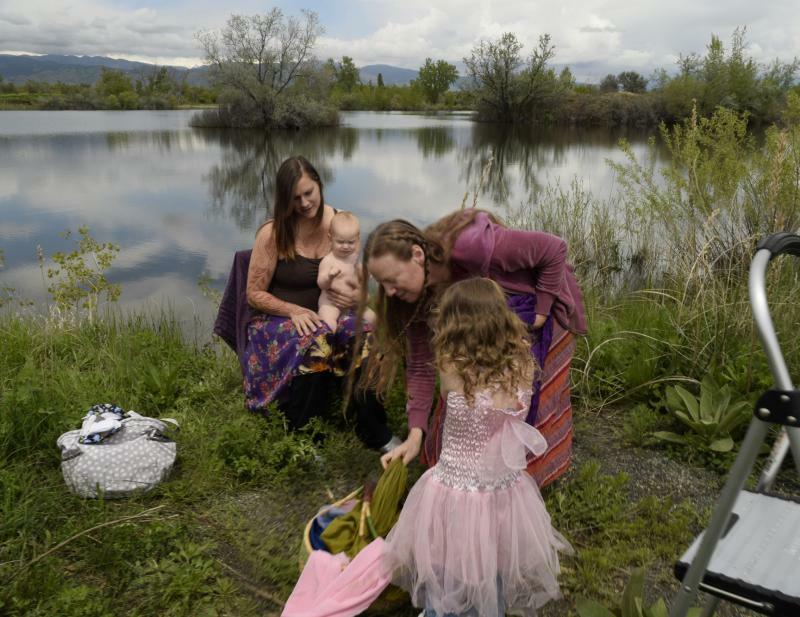 I love to capture the beauty of mothers nourishing their babies!